Do you know what time you were born ? In order to get your Ascendant sign you need to know your date, hour and place of birth and take into account the fact that the time given must be very precise for the calculation of the ascendant, if possible with a margin of five minutes. The calculation of the Ascendant is made by a very precise professional software that will guarantee the accuracy of the calculation of the ascendant. Since the ascendant can change sign in less than 4 minutes, it's important to know that this calculation is very precise and meaningful only if your birth data are accurate and precisely typed. If for whatever reason it's impossible for you to figure out what time you were born, you should know that an astrologer with experience can find it with a special technique called "time rectification". This method is tedious but will help you find your hour of birth according to the dates of major events in your life. 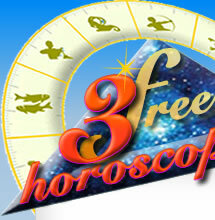 Click here for your free online Ascendant calculation.